Questions about Kichler Lighting 66121? 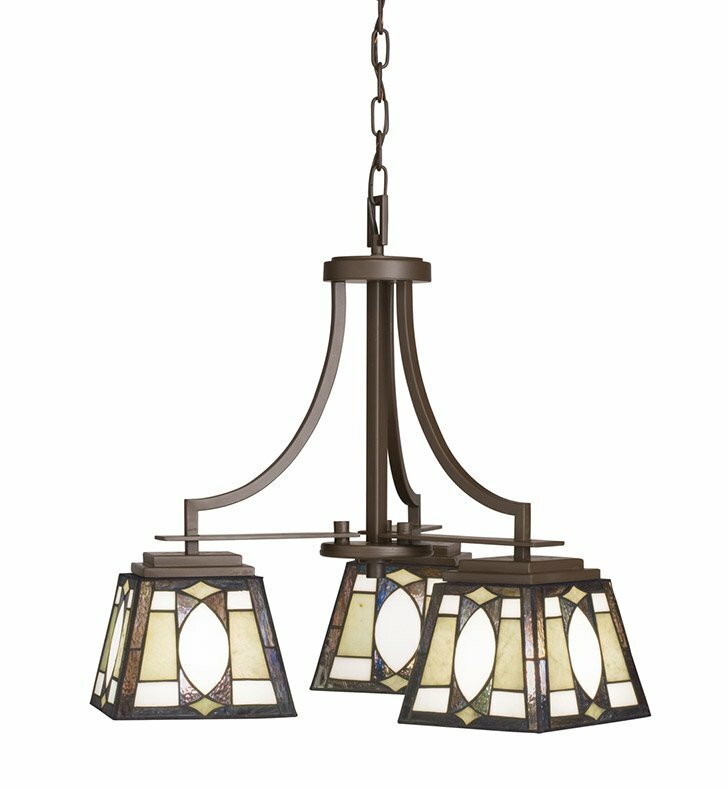 This 3 light chandelier from the Denman Collection combines the classic characteristics of Tiffany-style lamps with modern-day styling for a look that's truly one-of-a-kind. Each piece of art glass - accented with soft green sliced stone - has its very own tone and hue. Add to that a handsome Old Bronze finish, gently tapered square shades and a series of strong base lines. For additional chain, order 2996OZ. Dimensions: H 20" x W 22"